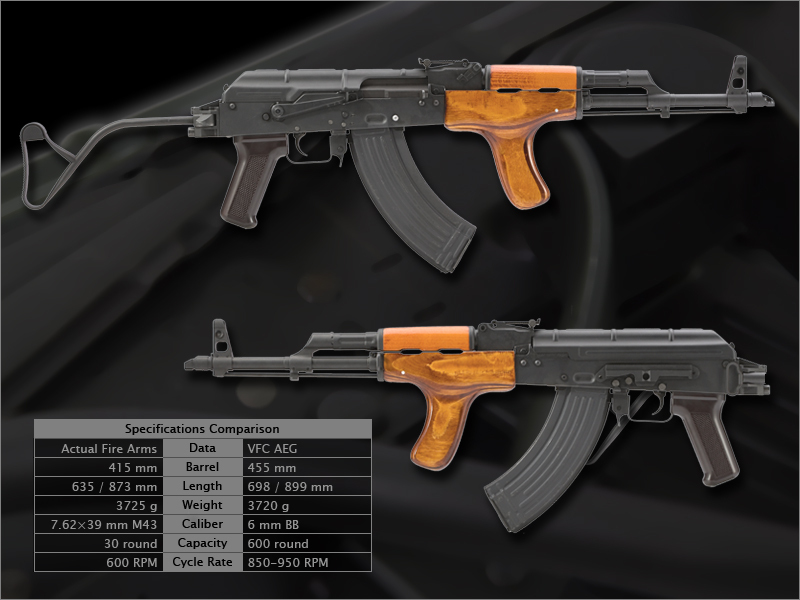 The AIM is a Romanian-produced version of the Soviet-Designed AKM assault rifle. It is used by the military in a service rifle role in addition to a side-folding stock AKM variant This rifle is chambered in 7.62x39 caliber. The acronym is a translation from the Russian AKM. It is outwardly identical to the Soviet version, except for the addition of a forward handgrip. 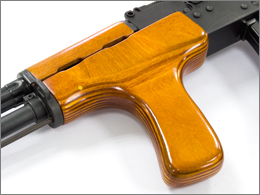 The initial Romanian copies of the AK-47 were faithful copies of the Soviet milled Type 3 receiver (See AK-47, Receiver development history). 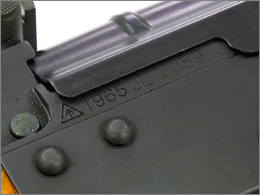 When Romania switched to stamped receivers, following the advances of the USSR with the AKM, the new rifle was designated the AIM. The Soviet AKM and AKMS are distinguished only by an underfolding stock, and the Romaian AIM and AIMS, respectively, follow this convention. The only further distinction is a forward handgrip on each model. The photo on the right shows an AIM. 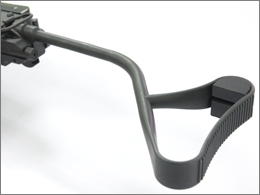 The forward pistol-grip on the AIMS differs in that it curves backwards, allowing the underfolding stock to be completely retracted. The most-produced variation of this rifle is that of the 'Garda' designation, produced for the Romanian Patriotic Guards. 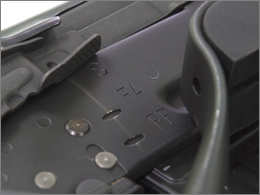 These rifles have a letter 'G' engraved on the left side of the rear sight block. 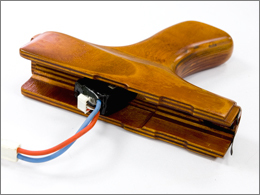 The civil guard versions are modified by the removal of the sear and the modification of the disconnector to be semi-automatic only. Tens of thousands of these have been imported into the United States and sold as 'parts kits' (the receiver is destroyed by torch-cutting per BATF regulations - without the receiver, the kit is no longer legally considered a firearm). They are colloquially known among firearms enthusiants as "Romy G's". 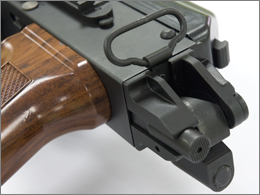 To fire, the operator inserts a loaded magazine, moves the selector lever to the lowest position, pulls back and releases the charging handle, and then pulls the trigger. In this setting, the gun fires once requiring the trigger be released and depressed again for the next shot until the magazine is exhausted. 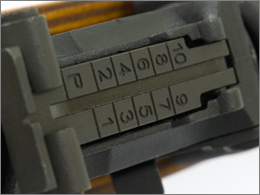 With the selector in the middle position, the rifle continues to fire, automatically cycling fresh rounds into the chamber, until the magazine is exhausted or pressure is released from the trigger. Dismantling the gun involves the operator depressing the magazine catch and removing the magazine. The charging handle is pulled to the rear and the operator inspects the chamber to verify the gun is unloaded. The operator presses forward on the retainer button at the rear of the receiver cover while simultaneously lifting up on the rear of the cover to remove it. He then pushes the spring assembly forward and lifts it from its raceway, withdrawing it out of the bolt carrier and to the rear. The operator must then pull the carrier assembly all the way to the rear, lift it, and then pull it away. 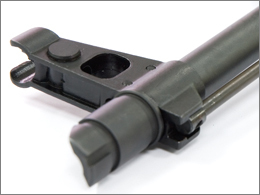 He removes the bolt by pushing it to the rear of the bolt carrier; rotating the bolt so the camming lug clears the raceway on the underside of the bolt carrier and then pulls it forward and free. When cleaning, the operator will pay special attention to the barrel, bolt face, and gas piston, then oil lightly and reassemble. The AIM is still the standard service rifle of the Romanian armed forces and was widely exported to many nations, including Iraq, the Sudan, Sierra Leone, and Libya. In Iraq, U.S. forces have regularly recovered AIM rifles from insurgents. Libya's Muammar al-Qaddafi is also known to have supplied some of his AIM rifles to the Provisional Irish Republican Army, whose members have regularly been seen brandishing the weapons in propaganda videos. ・This page was last modified 00:12, 27 November 2007. WikipediaR is a registered trademark of the Wikimedia Foundation, Inc ., a U.S. registered 501(c)(3) tax-deductible nonprofit charity .